I am pleased to announce the launch of ORAcollect•DNA (OCR-100), the newest product in the DNA Genotek family. ORAcollect•DNA is a sample collection kit that uses the same underlying technology as Oragene•DNA, but with a different collection method. 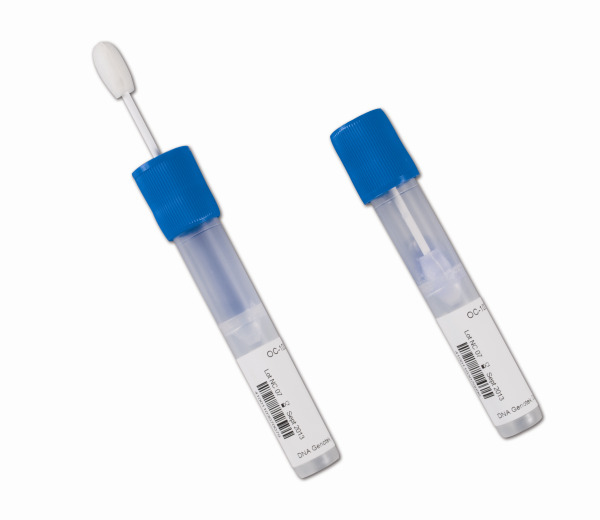 The fundamental difference between Oragene and ORAcollect•DNA is the way the sample is collected. Instead of spitting into an Oragene kit, the patient/donor uses the integrated sponge to collect the sample and then invert the sponge and secure it in the collection tube.